It is competition season and all around the district schools are competing academically in different events for a chance to advance and bring victory to their schools. Groups like robotics, accounting, theatre, and many more are participating in UIL competitions. This UIL competition gives academically based scholars an opportunity to portray their talents and compete in a nonathletic setting. UIL competitions are designed to push students and motivate them to think critically about certain topics and apply skills that they acquired through their academic learning. Students also learn new skills that they can apply to their work in the future. To prepare for UIL competitions many groups have practiced differently. Although the accounting team has won first place in their meets over previous years, there are still some preparations that has to be made to ensure victory for them this time around. The team has prepared by taking district tests from previous years to make the participants aware of what to expect at the next meet. Students also have to take a regional test to evaluate their accounting skills and allow the coach to determine their placement on the district team. 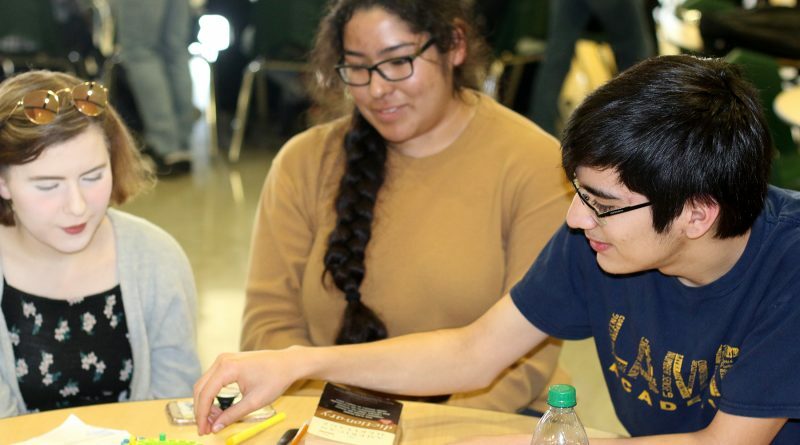 “Participating in the accounting UIL competition has allowed me to go outside of my comfort zone and try things beyond my assumed abilities.” accounting team member Alvina Hernandez said. Other teams like robotics and one act play have already competed and used the feedback that they received to ensure that they do better next year. The expected outcome of both teams was to advance to state, although the skills learned from the experience alone was enough for them. In the one act play the preparation for their performance was to study and think about their characters and decide on how their character would react to certain situations. January 29, 2018 2017-18 Comments Off on Flu Outbreak devastates U.S.